About three quarters of the nearly 70 Bay Area communities in which Compass operates saw the pace of home sales slow year over year in the fourth quarter. Still, some local housing markets were moving quite quickly as 2018 came to an end — particularly those in the East Bay. Albany: Homes in this Alameda County city sold in an average of 17 days in the fourth quarter. Over the past three years, homes in Albany have never taken longer than a month to leave the market. Moraga: Although homes in Moraga took longer to sell in the fourth quarter than they did at any other point in 2018, the 19-day pace of sales was still enough to rank it at No. 2. The Contra Costa County city ranked as the Bay Area quickest-moving market in our third-quarter analysis. Los Altos: For the third consecutive quarter, this Silicon Valley city landed on the list, with homes selling in an average of 23 days. That is actually the slowest pace of sales recorded in Los Altos since the fourth quarter of 2016. Alameda: Homes on the island city of Alameda found a buyer in an average of 24 days in the fourth quarter, one day longer than in the third quarter. Alamo: While Alamo may be one of the more expensive communities in Contra Costa County, that didn’t stop buyers from scooping up homes in an average of 25 days, the fastest pace of sales observed in almost two years. Berkeley: For the past three years, homes in always-popular Berkeley have never taken longer than a month to sell, and that trend continued in the fourth quarter, with buyers closing deals in an average of 25 days. Oakland: Like its neighbor to the north, homes in the seven Oakland ZIP codes in which Compass primarily operates sold in 25 days, one day longer than they did in the fourth quarter of 2017. Piedmont: As in the previous two quarters, family-friendly Piedmont counts among the Bay Area’s fastest-paced markets in the fourth quarter, with homes leaving the market in an average of 25 days. 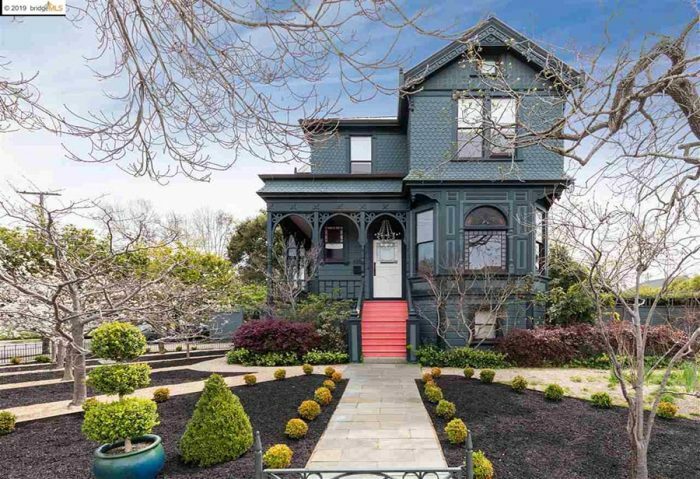 Kensington: Homes in this small East Bay city sold in an average of 27 days in the fourth quarter, which is the longest pace of sales observed there in at least three years. Lafayette: The pace of sales in Lafayette gradually slowed each quarter in 2018, with homes selling in an average of 28 days in the fourth quarter. San Francisco District 2: Homes in the city’s District 2, which includes the Sunset and Parkside neighborhoods, left the market in an average of 28 days in the final quarter of 2018. San Francisco District 5: San Francisco’s District 5 — which includes neighborhoods such as Noe Valley and Duboce Triangle — also sold in exactly four weeks in the fourth quarter, five days faster than they did at the same time in 2017. Walnut Creek: The pace of home sales in Walnut Creek registered 28 days in the fourth quarter, five days slower on an annual basis.